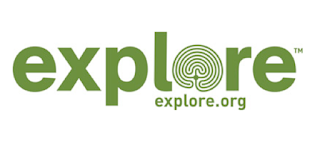 Explore.org is a site where you and your students can view live animal web cameras from all over the world. Students can watch birds, whales, buffalos, etc. . . in their natural habitat. This could be a great Starter or writing prompt. One of my other favorite resources that I have explored lately is Booktrack Classroom. With Booktrack classroom students can create and insert ambient sound, music, and other sound effects into their writings. This does require that students create an account (Sorry Elementary and some Middle school teachers you have to be at least 13 to create an account ). You can set the reading speed of your audience to have the sound effects align with your reading. Below is a video tutorial of how to use this. On Wednesday I was able to listen and learn about the US Department of Education's Office of Educational Technology #GoOpen movement. In short, this is a movement to provide free open source materials for students and teachers. A couple of the resources that I thought would be very useful are the OER Commons (OER stands for Open Educational Resources) website and Smithsonian Education. OER commons has K-12 Digital resources that can be searched by, Grade, Subject Area, and Standard. Also, there is an option to push out Digital resources using the Google Classroom button. Teachers will have to sign up for a free account. Students do not have to sign up. Smithsonian Education has over 2,000 Digital Resources that can be shared with students. These could be primary sources, videos, articles, and more that are currated by the Smithsonian Institute. Text Help (The People behind Read and Write for Google ) launched Equation IO extension this week. With Equation IO it will be much easier for students and teachers to create digital math equations in Google Docs. Students can draw, use speech to text, and equation editors to craft math problems. I was able to try it out today and I think that this is going to be a great benefit for students in the math class. Students will need to go the chrome store (or click on the link above) and add the extension. You can find more directions HERE. Another update that has recently rolled out is that we are now able to put videos into Google Slides straight from Google Drive! In the past we could only insert videos from YouTube. If your students are creating their own documentaries or videos they can upload the video to drive and then insert it into their presentation. If you have any questions about these new features please let me know.